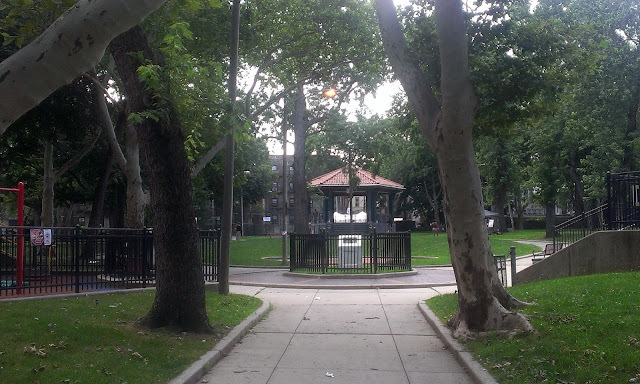 In honor of Independence Day, the City of Jersey City is putting on their now-annual festival with live music, vendors, good food, and fireworks. It's time for this year's Start Something Challenge from Rising Tide Capital. The Start Something Challenge is a business pitch competition for New Jersey entrepreneurs that give entrants the chance to not only gain feedback, but win ipads for their business, cash prizes, and one grand prize of a $10,000 business grant. Latham House, 299 Marin Boulevard, has announced their opening schedule. Jersey Girls Food Tours is celebrating their two year anniversary with a special Chef's Table event at Hudson Kitchen on Wednesday, July 13th beginning at 6:30pm featuring chefs from around Jersey City. The event will feature a nine course tasting menu, wine tastings from Mana Wine, and cooking demonstrations and interviews. Beginning Sunday July 10th, Whealth & Co. will be serving up brunch every Sunday at Transmission. They'll have two seatings, one at noon and one at 2pm with limited walk-in seating at the bar. The menu and tickets can be found here. Congratulations to Milk Sugar Love, Torico's, and Luigi's ice cream truck for being named as semi-finalists for NJ's Best Ice Cream Shop by Pete Genovese/NJ Advance Media. 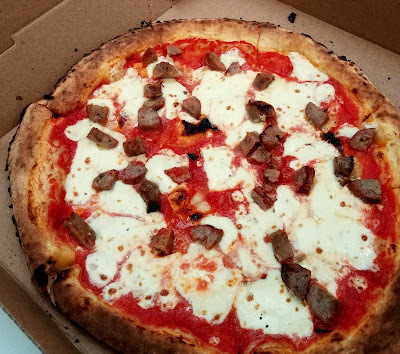 Welcome to "Get to Know JC Eater" where every week I post a profile of a local resident who wants to share where and what they love to eat in Jersey City. This site is meant to be useful to the community so what better way to do that then involve the community itself? If you'd like to be featured, please leave a comment below or email me directly. This week's JC Eater is a beer enthusiast who likes to keep things local. A new art/food/music collective called Pop-Up LSP is debuting this weekend. Located near the waterfront on Liberty State Park at 1 Edward Hart Road, the organizers plan to run events every weekend beginning this weekend. It's been quite a while since our last Construction Update, but that doesn't mean there haven't been a lot of new restaurants underway in the meantime. Some we've already covered and will provide further updates on soon and there will be even more coming, but for now, here are several new spots we can expect to see downtown soon. After being rescheduled, the next Table Talk Live event by Hudson Kitchen will take place on Tuesday, June 28th. Titled "Beyond the Plate: How to be Seen, Heard and Remembered", the seminar will focus on how food businesses can enhance their marketing to help improve their business. Pint decided to donate all their proceeds last Sunday night to Orlando survivors and they were able to raise over 3,000 dollars. The former Sushi Tango space is being taken over by Wurstbar and they're hoping to open in August. For the remainder of June, all proceeds from Yoga in the Park at Riverview Market will be donated to the One Orlando Fund. Modern Banh announced that they're now offering matcha banana pudding from Baonanas. 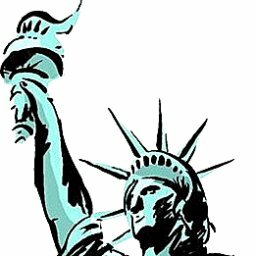 Welcome to "Get to Know JC Eater" where every week I will post a profile of a local resident who wants to share where and what they love to eat in Jersey City. This site is meant to be useful to the community so what better way to do that then involve the community itself? If you'd like to be featured, please leave a comment below or email me directly. This week's JC Eater is a dedicated home cook who depends upon local resources to help her in the kitchen. It's finally here. This weekend, The Jersey City Project and The City of Jersey City Present Project: Eats and there's an incredible line-up of vendors representing a wide variety of cuisines and eating styles. To help you plan ahead (because it's almost impossible to try everything although I'm all for trying), I've put together the list of vendors with notes on what they'll be serving and if I've seen any specials announced. 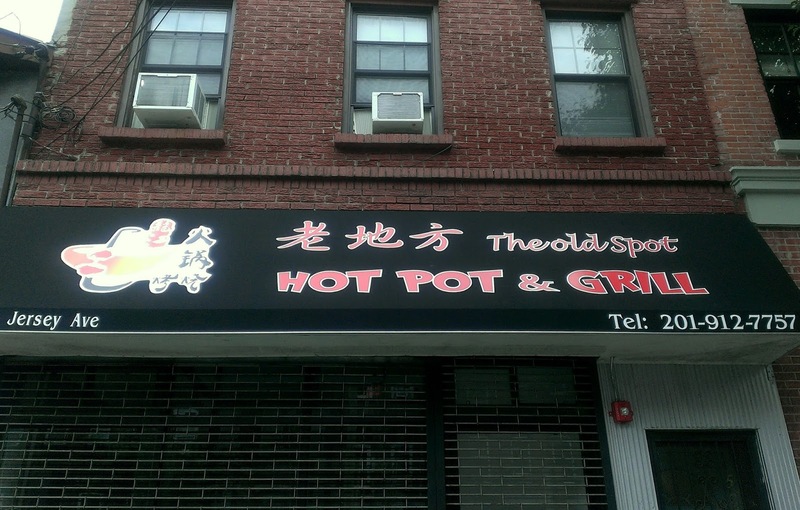 A new Chinese Hot Pot restaurant is coming to downtown Jersey City. 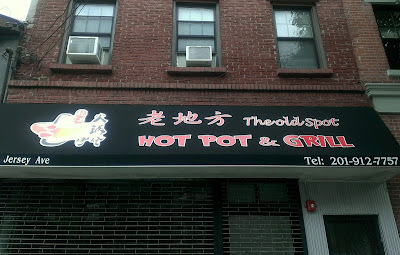 Located at 523 Jersey Avenue which was formerly H20 Aquarium, the new spot will be called The Old Spot. Modcup Coffee Co. is opening their second Jersey City location today located at 25 Senate Place near Journal Square. 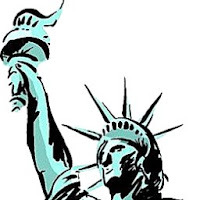 Congratulations to Liberty State Park on its 40th birthday. To celebrate, they'll be having a Bring Your Own Picnic celebration with cake, lemonade, and flags on Tuesday, 6/14 beginning at 5pm. Congratulations to Bucket + Bay for their feature in New Jersey Monthly. Departed Soles is celebrating their first anniversary on Thursday, 6/16 with extended tasting room hours and the launch of a new beer, The Polish Goodbye. Iron Monkey is hosting a Meet the Brewer night with Yards Brewing Co. this Thursday, 6/16 beginning at 7pm. Ozu Foods has restricted raw fish dishes to eat-in and take-out only during the summer months. 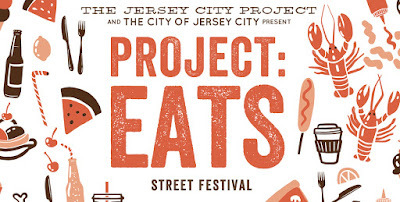 Welcome to the first edition of a new series here on Jersey City Eats,"Get to Know JC Eater" where every week I will post a profile of a local resident who wants to share where and what they love to eat in Jersey City. This week's JC Eater is a long time supporter of the blog who's made some great recommendations that have never steered me wrong and who knows his burgers. 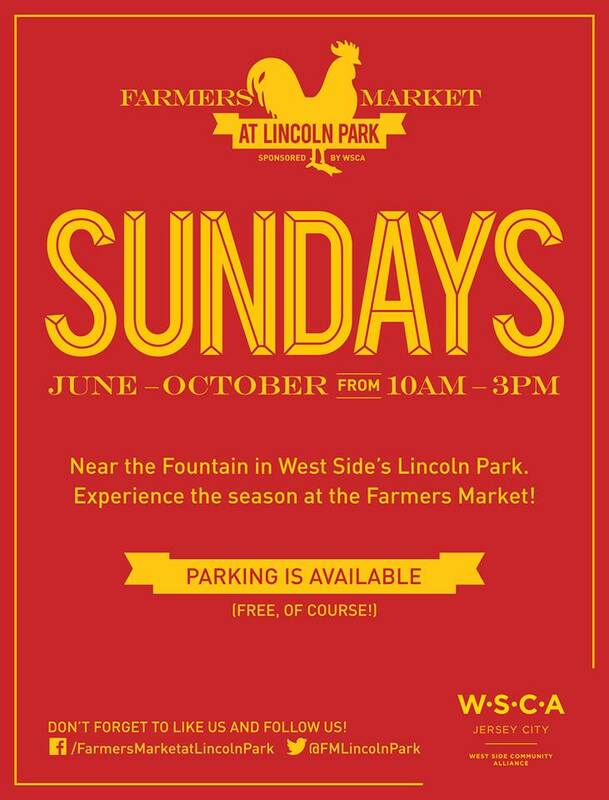 The Farmer's Market at Lincon Park Returns this Sunday! 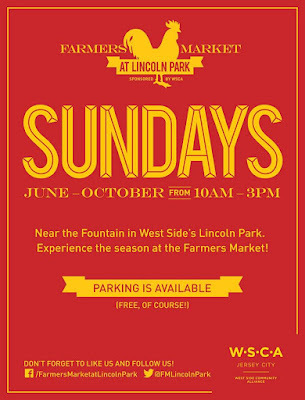 This Sunday marks the return of The Farmer's Market at Lincoln Park. 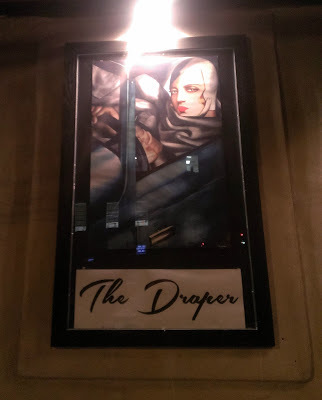 The Draper, 247 Washington Street, has closed after less than four months in business. The Jersey City Project is back again with another year of Project Eats* and it's less than two weeks away! Cocoa Bakery is now carrying Lemon Blueberry cupcakes which they make annually to benefit Chemo Comfort, an organization that makes and provides comfort kits to chemo patients. The cupcakes will be available until June 12th. 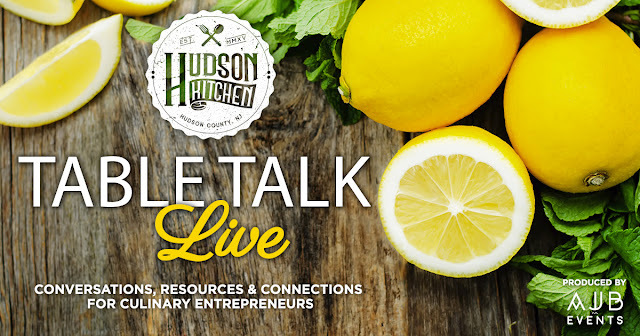 On Tuesday, June 21st June 28th, Hudson Kitchen is presenting their next Table Talk Live, focusing on how to market food businesses. Tickets are $20/person. Speaking of Hudson Kitchen, they recently featured an interview with local company Baonanas. Today is National Doughnut Day and to celebrate, Uber is offering a 4pack of Glaze Donut's Italian rainbow doughnuts to users in Hudson, Bergen, and Essex Counties between 10am-3pm. This Saturday marks the start of the Arlington Park Farmer's Market which is returning for its second season.